So Dave says yes human remains and yet another Prosecutor says no. Gee, who do I believe? I will be surprised if it's Natalee but not surprised it's human remains. Hi All! As I have posted elsewhere - if you swung a cat on Aruba, it would hit somebody's bones ... folks can be kind of expendable behind that sparkling tourist façade. Van der Sloot and Flores, who was an avid gambler, were playing poker in a Lima casino late Saturday night and Flores was winning big, police said. Investigators said van der Sloot invited Flores to his room at the Miraflores Hotel Tac to celebrate her winnings. A hotel employee later told police that she heard the couple arguing. Hours later, Flores was dead. ABC News has learned that her body was not discovered, however, for another four days because van der Sloot had prepaid his room for 14 days and instructed the hotel's front desk not to allow anyone into his room, including the cleaning staff. Flores' father, Ricardo Flores, is a well known politician and former race car driver in Peru. He was burying his daughter at the same time that van der Sloot was being arrested in Chile. He said that his daughter's death had driven stake through the family's heart. "It's not just about my daughter," he said. 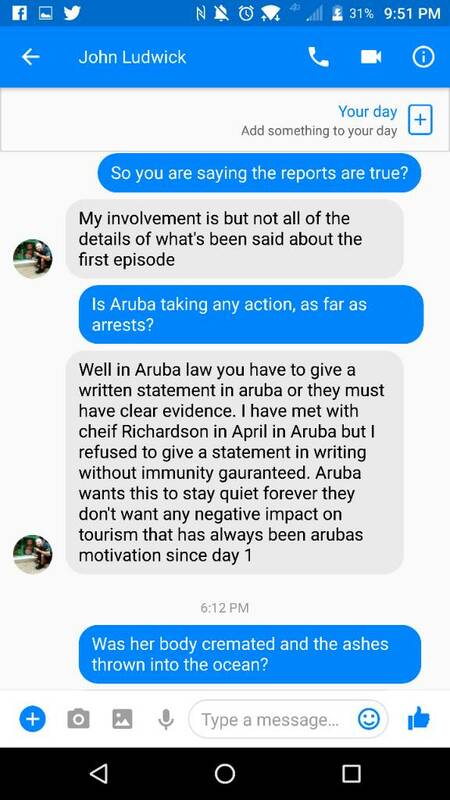 "There's a matter pending in Aruba and we don't know how many more remain unpunished." "I think God used my daughter as an element so that another soul could rest in peace, so that the parents of this girl can rest in peace too, knowing that somewhere in the world justice was made for the killing of their daughter," Flores said. "This man cannot continue to be out in the world killing people. This man needs to pay for his crimes," he said. "Joran was able to laugh at the crime he committed in Aruba," the father said. "But in Peru he will not be able to laugh." 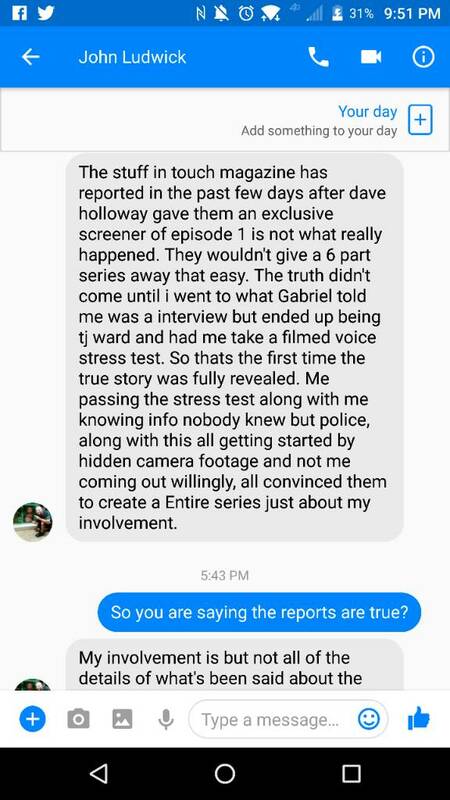 Dave says a fact that John told Gabriel wasn't known to the public. Dave knew because one of Deepak and/or Satish's lawyers had talked to him about it in 2005. TJ agreed that the story has been that Deepak and Satish dropped Joran and Natalee off on the road by the fisherman's huts. But Dave says he was told in 2005, and Gabriel says John told him, that Joran and Natalee were dropped off on the road by the Marriott that goes down to Moomba Beach. In the story Gabriel told, after he says they were dropped off he says Joran got two drinks and told them to make one of them a good one (possibly drugged). I'm wondering now if they're saying he got the drinks from Moomba Beach? Anywhere else to get a drink right there? Would they have still been open after Carlos n Charlie's closed? Did Mark Jr. serve up the deadly drink? Good grief, that would explain some things now wouldn't it? klaasend Jurriën de Jong wants to join thought on why he doesn't get accepted? Not accepting any news members. I'm not really moderating all that much. Pursuing a lead that may shed light on his daughter’s disappearance, Dave Holloway and a team of investigators dive into a covert operation. The goal: obtain a taped confession, and evidence that could convict his daughter’s killer. So, do we have human bones or not? Dave and TJ seem to think these are human bones - Aruba is saying not human. For what it's worth: According to Gabe's supporters on FB, yes they are human, and they are Natalee, and we will know by episode 6. I'm watching Episode 2 now, they are talking about Arikok National Park. I don't think that's where the recent find was though. 1. Natalee's bones are not going to be lying around where they can be discovered and reveal a violent death. 2. If her bones were simply lying around they would have been discovered years ago. 3. Joran said he didn't know what happened to her after his father got involved. That was one time where he seemed truthful - but only to absolve himself and blame someone else - his father. 4. Natalee could very well still be on Aruba - but she is concealed. 5. The polis seem to know exactly what happened and what became of Natalee - they are keeping that to themselves. They can't unwind time and undo this mess so why open it all back up and cause more economic harm. I think we're truly back to where we were on day 30 to be honest. Also, I don't think you need to watch 6 episodes to get to the truth. This seems rather bizarre in and of itself. Getting the forensics should not take 30 plus days - and voila, nothing. Keepthefaith, Rob, KarmaRoundUp and 31 Guests are viewing this topic. By the way - I loved the "no new members" discussion by TM and Klaas. It's a little late to be adding new unknown voices. Hope all is well, Rob. Been quite a long journey and I find it hard to believe that this is "the moment" where the journey has its conclusion. Those POS on that island, in my opinion, took care of assuring that she would not be found. And if she was, they would be in full control of the investigation and be able to continue the cover-up that began with Paulus....As we all know, that is JMO. 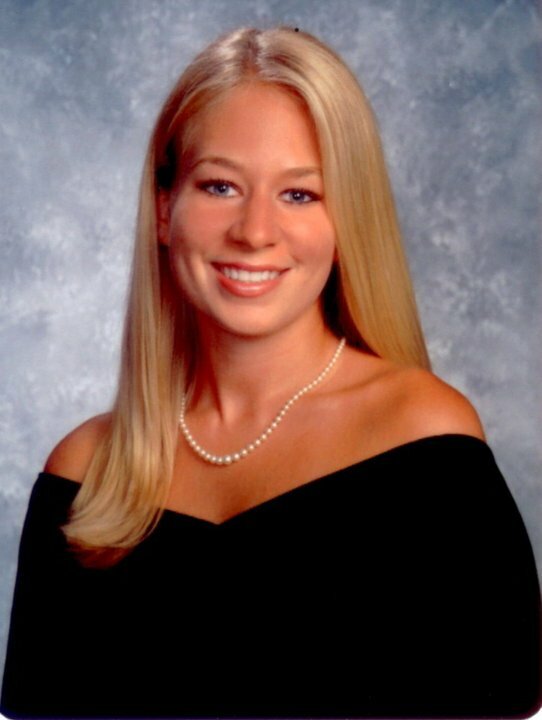 And you know what they say about opinions I always keep the faith and hold out hope that I am wrong and Dave and Beth will one day have closure and Natalee can come hope to rest..
12 years ago, I would have remained silent. But my memory is long. Ain't got the time or patience for that. John kept a bone or a few bones for himself . Gab became friends with him just to get info.. This took years before John couldn't control himself and told Gab .Then Gab called or gor ahold of Dave Holloway from what I understand.